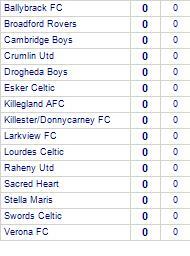 The Dublin and District Schoolboys League (DDSL) was founded in 1943 to provide a structured league system for Dublin Schoolboys Football Clubs and for soccer clubs in the surrounding districts. 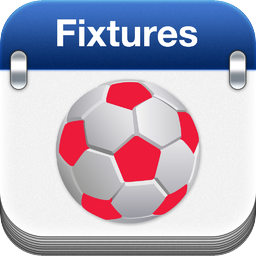 Click on Roundup to see an overview of all fixtures and results. 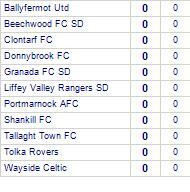 You can restrict to one team as well as SSG or 11 A Side. 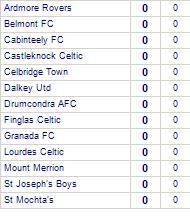 You can see the league tables scrolling across below. 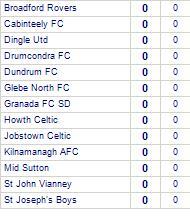 Click on one to expand so you can see an overview of all tables enabling you to easily see where your club is in each division. 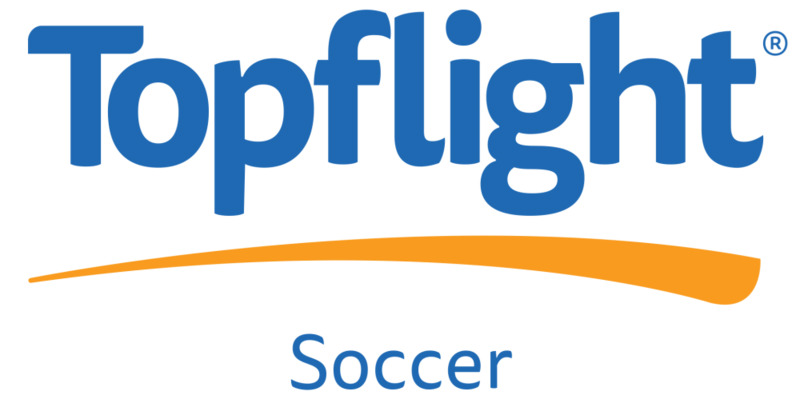 Click again to return to the scroll. 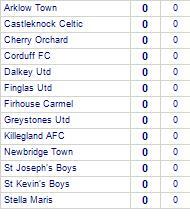 Alternatively, click Competitions at the top and select your division for deeper analysis. 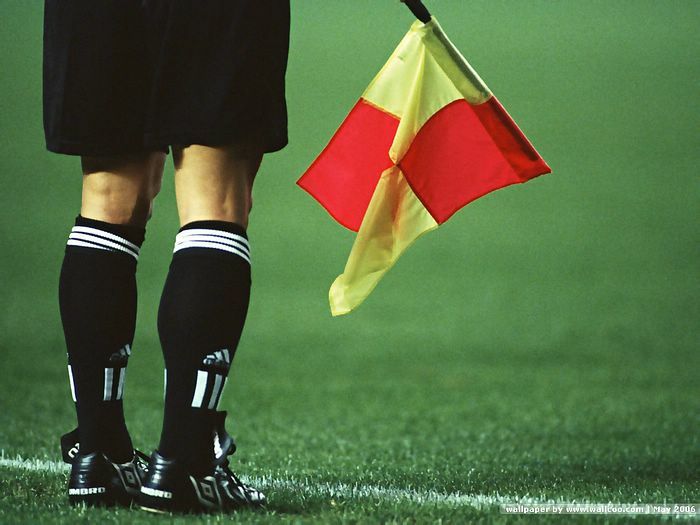 Move your cursor across the table for pop ups displaying information behind the numbers. 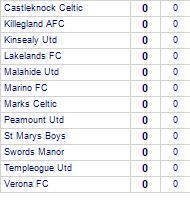 Youths Sun 4 (KO 11am unless stated). 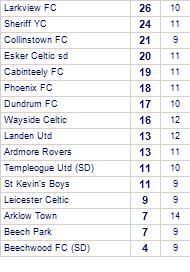 Castleknock Celtic beat Lakelands FC sd. 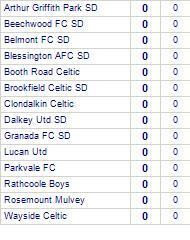 Beechwood FC lose to Clontarf FC. 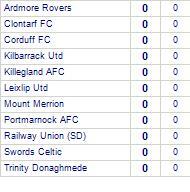 Youths Sun 5 South (KO 11am unless stated). 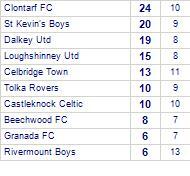 Dalkey Utd beat Park Celtic. 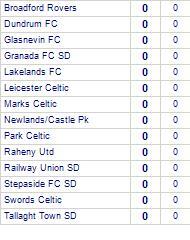 Park Celtic has yet to win in this competition, having lost all 7 games. 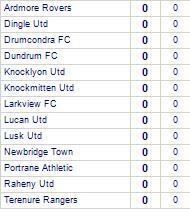 Loughshinney Utd despatch Tolka Rovers. 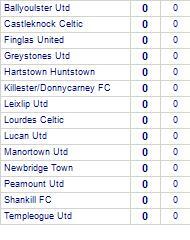 Loughshinney Utd have won 3 out of 4 home games. 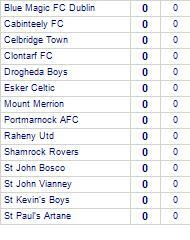 Tolka Rovers have yet to win away from home. 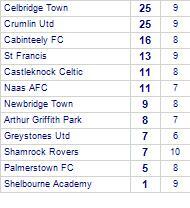 Crumlin Utd beat Arthur Griffith Park. 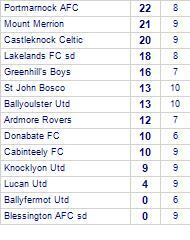 Crumlin Utd has yet to be beaten in this competition, having won every game. 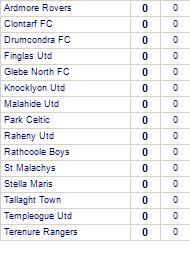 Harolds Cross (SD) beat Templeogue Utd. 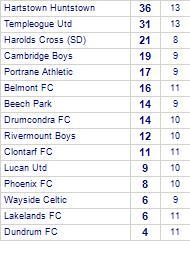 Harolds Cross (SD) are currently on a winning streak of 5 games.They have yet to be beaten at home. 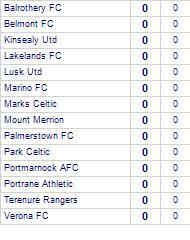 Youths Sun 1 North (KO 11am unless stated). 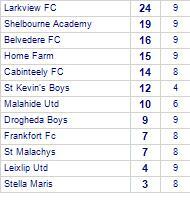 Shelbourne Academy claim victory against Leixlip Utd. 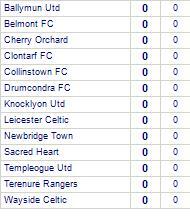 Leixlip Utd has yet to win in this competition, having lost its last 5 games. 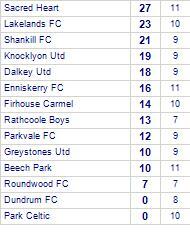 Rathcoole Boys take all points from Lakelands FC. 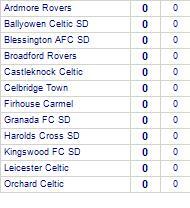 Beechwood FC (SD) share points with Leicester Celtic. 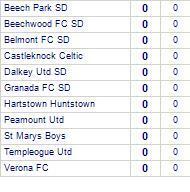 Beechwood FC (SD) has yet to win in this competition.